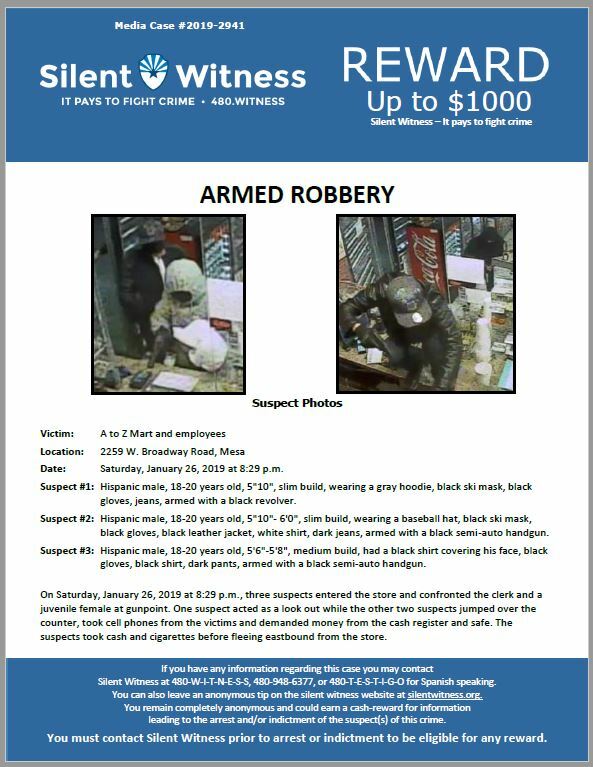 On Saturday, January 26, 2019 at 8:29 p.m., three suspects entered the store and confronted the clerk and a juvenile female at gunpoint. One suspect acted as a look out while the other two suspects jumped over the counter, took cell phones from the victims and demanded money from the cash register and safe. The suspects took cash and cigarettes before fleeing eastbound from the store.